The opening of the Guiyang–Guangzhou High-Speed Railway (HSR) on December 26, 2014, cut the rail journey from 20 hours to about 5 hours. It links the economically poor, but ethnically and naturally rich, regions of Guizhou and Guangxi to the prosperous Pearl River Delta area. Guiyang–Guangzhou HSR is an important transportation artery between Guiyang and Guangzhou, as there is no other direct highway or railway between these two regions. The railway line starts from Guangzhou and passes through northern Guangxi&apos;s karst region (Guilin and Yangshuo), then the previously hard-to-access Miao and Dong ethnic regions of southeastern Guizhou Province. 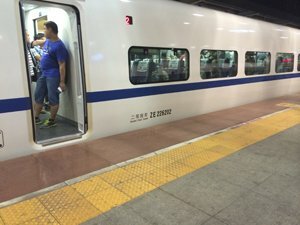 Guiyang–Guangzhou HSR joins 21 stations: Guiyang Bei, Guiyang, Longli Bei, Changming, Duyun Dong, Sandu, Rongjiang, Congjiang, Sanjiang Nan, Wutong, Guilin Xi, Yangshuo, Gongcheng, Zhongshan Xi, Hezhou, Huaiji, Guangning, Zhaoqing Dong, Sanshui Nan, Foshan Xi, and Guangzhou Nan. The southern HSR to Nanning also links with the Gui-Guang HSR, via Guilin Station and Guilin North Station. 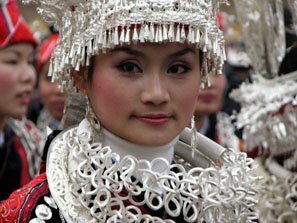 As well as the major stations at Guangzhou, Guilin, Yangshuo, and Guiyang, there are five small stations in the ethnic regions of Guizhou and Guangxi, and this is particularly convenient for tourists wishing to visit the mountainous ethnic regions. 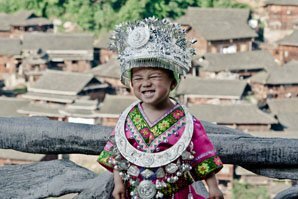 The ethnic areas of Guizhou are a great lure to both Chinese and foreign travelers, but poor accessibility has previously prevented many travelers from visiting the area. The karst sections of this railway total about 220 km (136 mi) in length, and the engineering challenges were possibly even tougher than for the Qinghai–Tibet Railway. 81% of the line consists of bridges and tunnels. When you enter the limestone landscape region, you will feel like you are taking a rural subway train! There are 238 tunnels, accounting for 456 km (283 mi) of the total length; nine of them are more than 10 km (6 miles) long. This 864-kilometer-long high speed railway cuts a direct path, boring through limestone peaks and spanning valleys in mountainous terrain, making the construction tortuous. The cost was around 90 billion yuan (more than 14 billion USD), half of which was paid in bank-loans. More than 3 billion yuan (about 500 million USD) per year is to be paid on interest from the loans, according to current rates. Hot water and microwave ovens are available for your own hot tea, coffee, and meals. There are 34 bullet trains daily each way between Guiyang and Guangzhou (all stopping at every intermediate station). See the timetable below. *There are more than 30 pairs of high-speed trains running on Guiyang-Guangzhou route every day. Departure time from 08:00 to 18:43. Above in the table are some of them. These trains originate/end at Guiyang North/Guiyang East and Guangzhou South/Guangzhou Railway Stations. 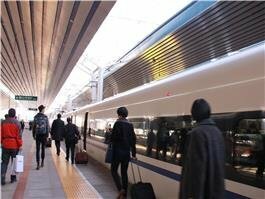 *There are more than 30 pairs of high-speed trains running on Guiyang-Guangzhou route every day. Departure time from 07:00 to 18:10. Above in the table are some of them. They depart from/arrive at different train stations in Guangzhou and Guiyang. Please double check to make sure you go to the right station before boarding. 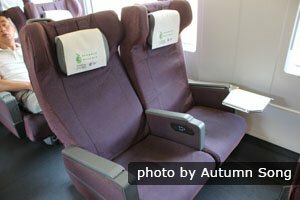 You can book tickets on China&apos;s official train ticket website, but there is no English on the site. For the least hassle in getting your Guangzhou–Guiyang HSR tickets, use China Highlights&apos; convenient train booking service. We can deliver to your doorstep for only 5 USD (in China). The Guangzhou–Guiyang HSR is part of China&apos;s ambitious plan to link the economic centers of the Southeast (Guangzhou, Shenzhen, and Hong Kong) with the economic centers of the Mid-West (Chengdu and Chongqing). 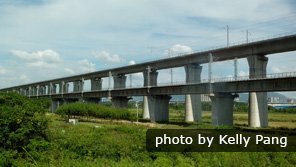 The Guangzhou – Hong Kong High-speed railway is under construction, with the Guangzhou–Shenzhen section already in operation. Another high-speed railway linking Guiyang to Chengdu is under construction, to be completed in 2019. Meanwhile the Changsha–Kunming HSR will link Changsha, Guiyang, and Kunming. After the completion of all these high-speed railways, once-isolated Guiyang will become a transportation hub in China&apos;s southwest. It will be very convenient for you to discover the beauty of southwest and mid-west China — to see the Yangtze, Chengdu&apos;s pandas, and Kunming&apos;s Stone Forest. The Guangzhou–Shenzhen–Hong Kong HSR was opened on September 23th, 2018, cutting the travel time to only 50 minutes between Guangzhou and Hong Kong, 19 minutes between Hong Kong and Shenzhen. High-speed trains from Hong Kong to Mainland China depart from the newly-built West Kowloon Station. The Guiyang–Chongqing HSR was opened in January, 2018. The most popular starting point for a Yangtze River Cruise is Chongqing. 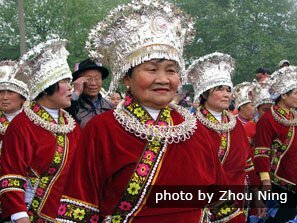 You could relax on a Yangtze cruise after discovering the minority cultures of Guizhou, with only a 2-hour journey from Guiyang to Chongqing. The	Guiyang–Chengdu HSR has 22 pairs of bullet trains running every day. The extremely rare and lovable panda is native to the region around Chengdu, which has three panda bases nearby. The largest, Bifengxia Giant Panda Base, offers the best chance to see the cute &apos;bear-cats&apos;, and even participate in volunteer activities to take care of them. The Changsha–Kunming HSR, running east-west through Guiyang, opened in 2015. The Yuanyang Rice Terraces and the Stone Forest near Kunming are world-class scenic areas that you shouldn&apos;t miss.